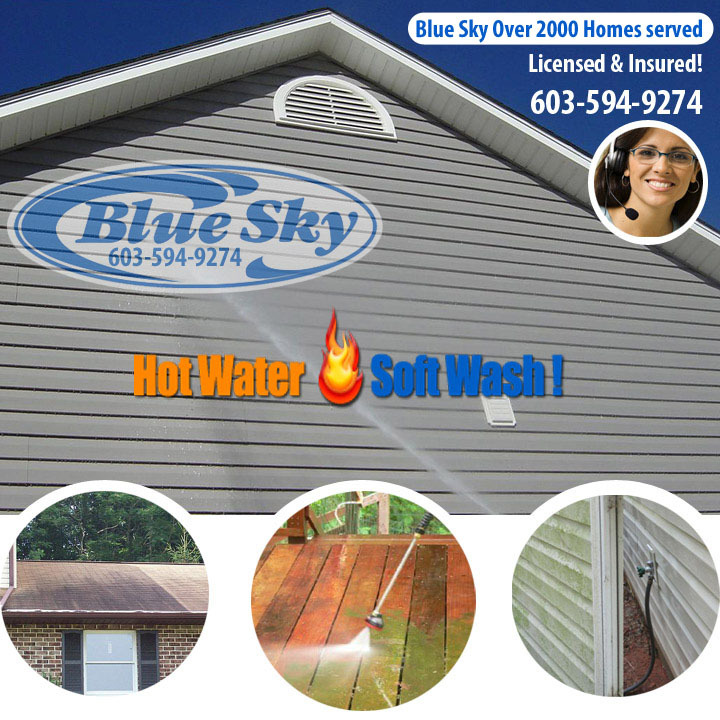 Blue Sky Pressure Washing can kill & remove the algae, using contractor “Eco friendly wash”, making your roof, vinyl side, & clapboard new again. Full-time, Fully insured, Professional On-site power washing, Restoration & preservation company serving New Hampshire & Mass. 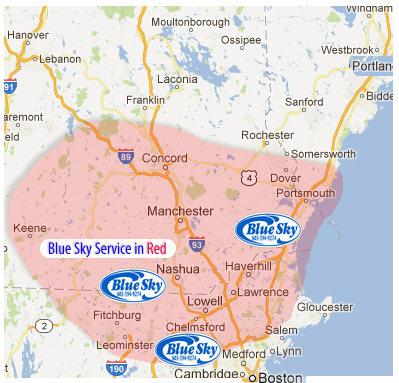 residential customers since 2006. Blue Sky Soft Washing is “Eco friendly” Blue Sky House Wash Cleanser packed w/non-toxic naturally-derived ingredients. Blue Sky Soft Washing packs a giant gentle punch! Insulated vinyl, Batten vinyl Siding, Seamless vinyl, Vinyl Soffits, Eaves & Over Hanging, Traditional ext. boards, Reversible clapboards, Dutchlap clapboards, Soffits & Facia Boards.